CAMBRIDGE—A surge of capital is flowing into 10 Fawcett St. here in west Cambridge, with CRE sources maintaining the 134,500-sf first-class office building held by homespun Griffith Properties and Artemis Real Estate Partners is being acquired by Davis Cos. and Invesco for nearly double the $31.3 million its current stewards spent five years ago this summer. The buyers, who own four nearby buildings where a major redevelopment is planned, will reportedly spend upwards of $60 million to land 10 Fawcett St., a Newmark exclusive one source calls “very well-received” and “hard fought to the end” by finalists vying for the title. Davis Cos. and Newmark’s New England Capital Markets leadership did not respond to inquiries regarding the pending sale. “Yes, that is happening,” one industry denizen tells Real Reporter when queried whether the tandem has outpaced other competitors for an asset pitched by Newmark as a cash-flowing, multi-tenanted investment featuring first-class amenities plus a landscaped courtyard and its own parking garage. Ten Fawcett St. sits on 2.5 acres fronting Concord Avenue,, a key arterial that passes into tony bedroom community Belmont barely one mile away, and is also perched behind an expanding restaurant and retail cluster. Led by Managing Principal Marci Griffith Loeber, Griffith Properties joined Artemis in June 2013 to buy 10 Fawcett St. for $232 per sf. If the $60 million sphere is reached, that would equate to an impressive $446 per sf. 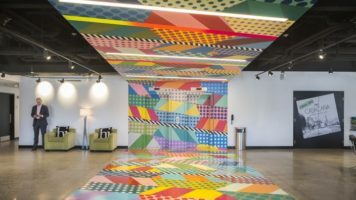 Sources maintain there will be a joint venture structure at 10 Fawcett St. in line with Davis/Invesco’s ambitious Fresh Pond enterprise known as The Quad. 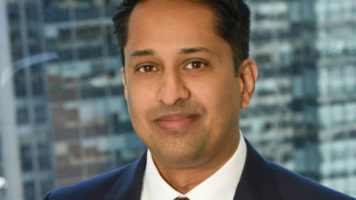 Four buildings totaling 201,000 sf that Davis Cos. bought solo then sold a majority interest to Invesco for $73 million have the firm founded by CEO Jonathan G. Davis serving as development and operating partner while Texas-based Invesco has the financial resources to undertake an ambitious repositioning. Davis Cos. has a minority stake in The Quad and will as well at 10 Fawcett St., sources maintain. Value-add Davis Cos. and Invesco will seemingly require far less toiling owning 10 Fawcett St. should negotiations conclude successfully. Located in Alewife’s Fresh Pond area, the six-story, brick-faced building is a pioneering first-class asset dating to 1985 and renovated this decade sufficient to remain a popular destination for tenants despite increased choices in the neighborhood. Ten Fawcett St. is being sold 100 percent leased to such companies as Cambridge Trust Co., Raytheon and the US General Services Administration. Artemis and Griffith were backed in their original purchase of 10 Fawcett St. by $20.3 million from Eastern Bank, a note they refinanced in 2016 to $30.2 million arranged by HFF. Griffith Properties has acquired almost $630 million in 28 industrial facilities and office buildings featuring both core and value-add investments. The investments total 3.8 million sf and are spread between Greater Boston and Washington, D.C.
For Newmark, the Fawcett Street conclusion will help cap an eventful spring and summer season which has seen successful results throughout Boston, Cambridge and the suburbs, one other late-season trade being CenterPoint in Waltham which Rubenstein Partners harvested for $86 million to Hilco Real Estate. A separate $96.5 million deal was also finalized this summer where MetLife Investment Management bought the freshly minted 89 A St. in Needham from Normandy Real Estate Partners and Westbrook Partners. 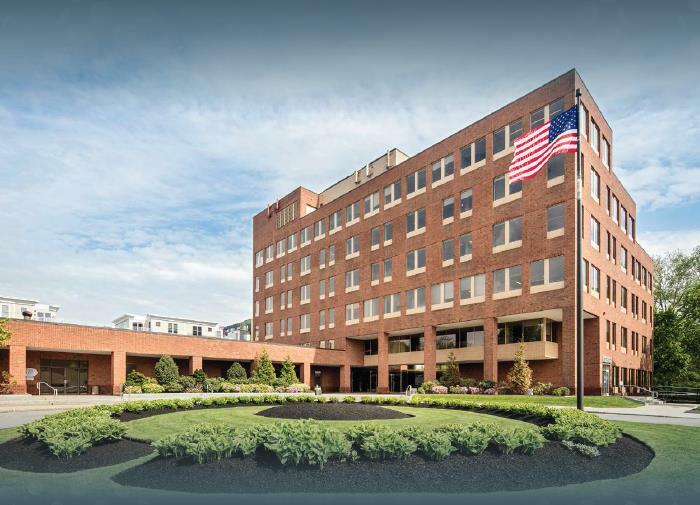 Newmark was also broker for the blockbuster June closing of 67 South Bedford St. in Burlington where Anchor Health Properties and Carlyle Group doled out $55.5 million to buy a 177,000-sf structure recast as medical office product. Newmark procured the buyers and advised 67 Bedford St.’s seller, none other than the Davis Cos., which had held the asset since Jan. 2015 when it could be had for $36.7 million. Newmark’s Academic and Medical Practice Group took charge on that assignment.